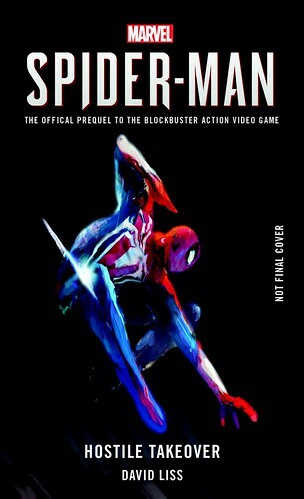 Titan Books will collaborate with Marvel and Insomniac Games to publish two tie-in books for Insomniac’s upcoming Spider-Man, the first of which will be Spider-Man: Hostile Takeover, a prequel to the events of the game. What is a “blockbuster” video game? And how do they know it’s a “blockbuster” when it isn’t even out yet? I have read a tie in novel or two. But why does this exist? It is not like 50 plus years of comics, 3 movie franchises and a bunch of cartoons don't already exist. It would help set up the story of this particular game, which doesn't appear to be explicitly tied in with any of the current stories, comics, or movies. It's sorta like how there were tie-in comics for the Arkham games, which was its own setting. Yeah, this is Spider-Man...but this doesn't necessarily have the same status quo as the comics.